One of the most anticipated Malayalam movies of 2019 is the Prithviraj starer Nine, the first Malayalam movie to be distributed by Sony and is the first movie produced by the actor's independent production company. 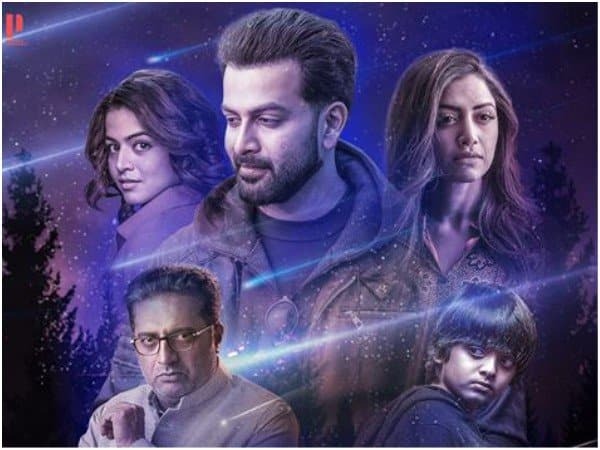 The movie has an impressive cast which includes Prakash Raj, Mamtha Mohandas, and Wamiqa Gabbi, directed by newcomer Jenuse Mohamed, Nine is the first science fiction movie in Malayalam. Not much else is known about the plot of the movie however actor Prithviraj did reveal that the core of the movie is the relationship between a father and son, and now that we finally have a trailer for the movie lets see what we can expect from Nine. The Trailer starts with a birthday celebration for Albi who is Prithviraj's son in the movie and Prithviraj plays a scientist named Albert. Albi appears to be upset since the death of his mother and the loss has put a strain on the relationship between father and son. Next, we get a flashback scene where we get our first look of Mamtha Mohandas who plays Albert's wife, Annie who died before the events of the movie. Albi has been having nightmares and trouble in school which leads to his expulsion, he fears that something is coming to kill him though Albert believes his son is still traumatized by his mother's death and that this is the source of his nightmares. Prakash Raj makes an appearance, he plays Dr. Inayat Khan who Albert turns to advise about his son, Inayat informs him that Albi has a very high IQ and his recent behavior could be linked to the arrival of a comet, Albert is hesitant at first but a series of strange attacks make him believe in Inayat's theory. Wamiqa Gabbi plays Eva in the movie who appears to be an alien and her arrival is tied to the Comet. why she is on Earth is not explained entirely only that her reasons for being here are tied to Albi and she appears to want to protect him from something. The movie is set in a remote village in Himachal Pradesh and the locals seem to have their own legends about the comet and have an interest in the boy however their intentions for him remain unknown. We finally get a look at the mysterious alien hunter who is behind mysterious attacks and disappearances in the village, the creature looks like a shadow with tentacles and attacks Eva and then chases after the boy. Albert receives advice from a group of Buddist monks who tell him to protect the boy for the next 9 days until the comet passes, this scene reminds me of Yodha the iconic Malayalam movie, where Mohanlal is tasked with protecting a small boy from an evil cult. 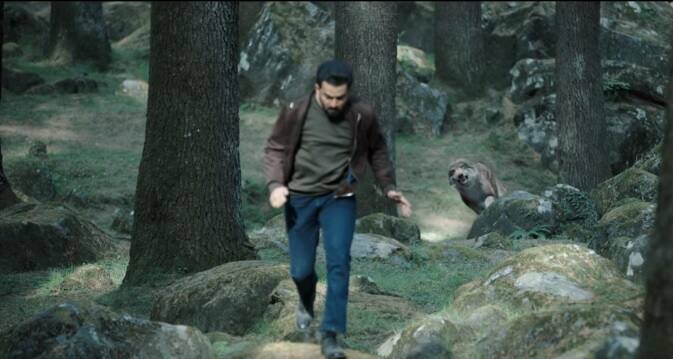 The trailer ends with Albert being chased by a wolf through the woods, the CGI looks impressive and the scene builds tension. The Trailer for Nine is impressive and manages to create anticipation for the movie which releases next month on the 9th, the plot of the movie appears similar in some ways to the 1992 movie Yodha but with added horror and science fiction elements this makes me even more curious to actually seen the movie when it hits theaters.